This CBD-infused skincare line discovered new potential retail opportunities with RangeMe’s insights feature. 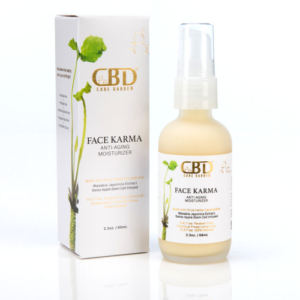 As the Global Account Manager for Denver-based, CBD-infused skincare brand CBD Care Garden, Bart Freibert manages their sales and outreach, and is always searching for convenient and innovative ways to expand the brand’s reach and target new potential retailers. So when CBD Care Garden joined RangeMe, Freibert realized the opportunity this new channel presented their brand. 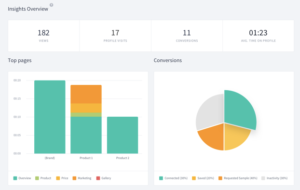 Learn how Freibert has incorporated RangeMe into his workflow and leverages his Profile Insights to inform and enhance his sales strategy. CBD, or cannabidiol, is a cannabis component that can be extracted in an oil form and infused into consumable and topical products. As research continues to emerge about the potential power of CBD, the CBD industry is growing rapidly. Wellness-minded consumers are seeking out CBD-infused products that boast anti-inflammatory, pain-relieving, and skin-soothing benefits. With a background in both wellness and biochemistry, CBD Care Garden’s CEO and co-founder Vanessa Marquez made top-notch product formulations her main priority when creating the brand. All of CBD Care Garden’s skincare products are infused with high quality, full-spectrum CBD oil, Freibert notes, which ensures that the products retain the therapeutic benefits for which CBD is known. Freibert first came across RangeMe on a retailer’s website when submitting CBD Care Garden’s products, and he was immediately intrigued by the platform from a sales perspective — especially for its profile tracking and sharing abilities. “Coming from a sales and technology background I know how necessary tracking is, so Profile Insights was the major selling point for me,” Freibert says of his decision to upgrade to RangeMe Premium. Profile Insights shows suppliers which retailers are viewing their brands and products and how long they are spending on their page—data points Freibert uses to inform his sales strategy. CBD Care Garden’s target retail placements have generally been luxury hotels and skincare boutiques, but Profile Insights showed Freibert other potential sales opportunities for the brand. “It dawned on me that there was this whole other market of independent stores around the country that could be interested in carrying our products,” he says. “As a salesperson, I feel empowered by RangeMe.” Looking ahead, Freibert is excited to implement the knowledge he has gained from Profile Insights into his sales strategy and continue pursuing new, relevant types of retailers in the future to expand CBD Care Garden’s in-store placements.